A perpetual breeze blows through Amour-sur-Belle, a village so ugly that even the English refuse to live there. Guillaume Ladoucette the barber is forced to give up his business as the advancing age of his customers means many have gone bald. He decides to set himself up as a matchmaker instead, for, despite its name, love is the one thing that Amour-sur-Belle lacks. Some shun Denise Vigier because her grandmother was found guilty of horizontal collaboration during the war. The bar owner refuses to serve Madame Fournier, the mushroom poisoner. And Madame Ladoucette and Madame Moreau have been trading insults for so long they have become almost a form of greeting. 'Not everyone falls instantly head over heels,' the matchmaker counsels. 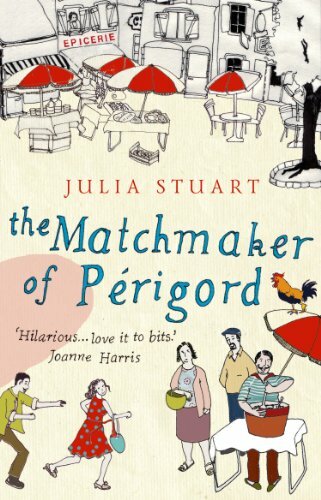 'Love is like a good cassoulet, it needs time and determination.' But how can a matchmaker make love simmer - when he has not yet solved the problem of his own troubled heart?